New kids spring styles are in! 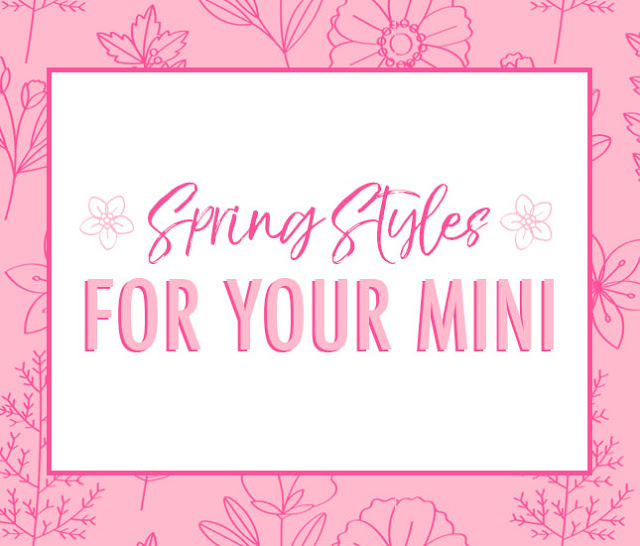 With so many fun colors and prints, these styles are sure to become favorites for you and your kids! 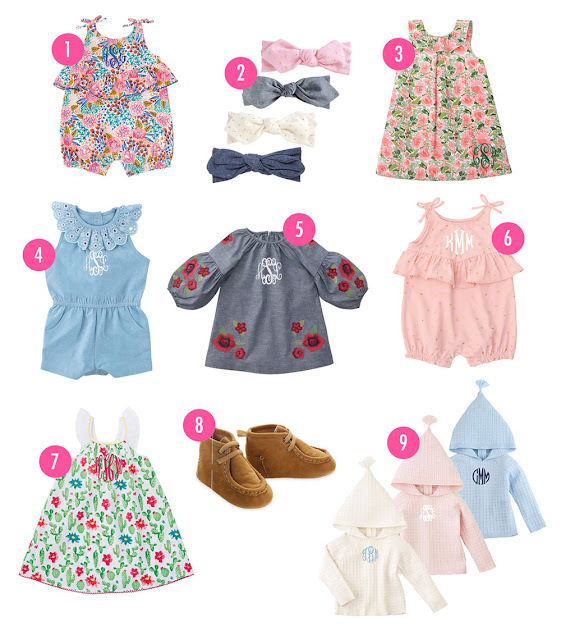 Check out all new arrivals for your mini-me at Marleylilly Kids! This fun and colorful bubble is a MUST this spring! It features the cutest ruffle chest flounce and little bow tie straps. Just be prepared to hear 'OMG - so cute!!' everywhere she goes! No baby outfit is complete without an adorable headband! 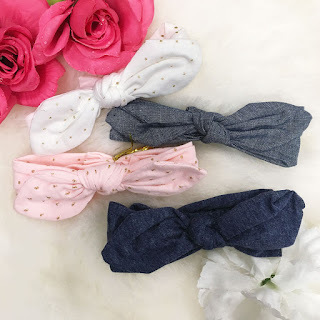 These easy slide-on elastic headbands are available in ivory, pink, chambray or navy. Easter is on it's way, and this floral dress would make the perfect outfit for your little girl! The ruffle details and v neck in the back make this dress SO CUTE! Personalize yours with a pretty monogram in the bottom corner. 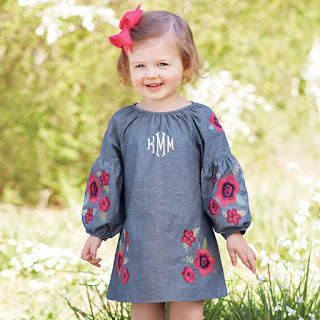 We just adore the classic charm and trendy accents of this denim monogrammed baby romper. This romper is so easy for vacation - just snap it on and add a pair of sandals, and you're ready to go! This floral dress is also another great option for Easter! The embroidered floral details on these peasant sleeves and hem are absolutely adorable. - it's super cute and functional with the gold foil stars and easy leg snaps! Just imagine your little baby running around in this precious outfit. How cute is the back of this dress?? We love the all-over watercolor cactus print, but the bow in back and flutter sleeves have us OBSESSED! 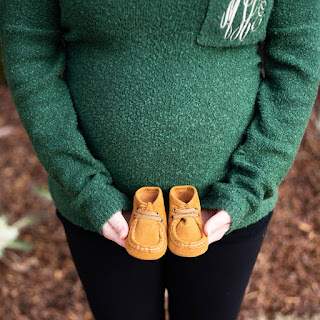 These moccasin-style booties are seriously the cutest thing ever! Not only are they great for your baby, they make the perfect maternity shoot prop! They have soft soles, so your baby will be super comfy in them. These transitional hoodies are great for between seasons. They have a hood and long sleeves that will keep them warm during colder weather, but are light-weight enough for breezy spring days. Choose from blue, pink, or ivory! We hope you loved all these new spring outfits for your mini-me! Make sure to check our Marleylilly Kids page very soon for even more monogrammed spring styles! We have so many cute options for baby, toddler, and youth boys and girls!